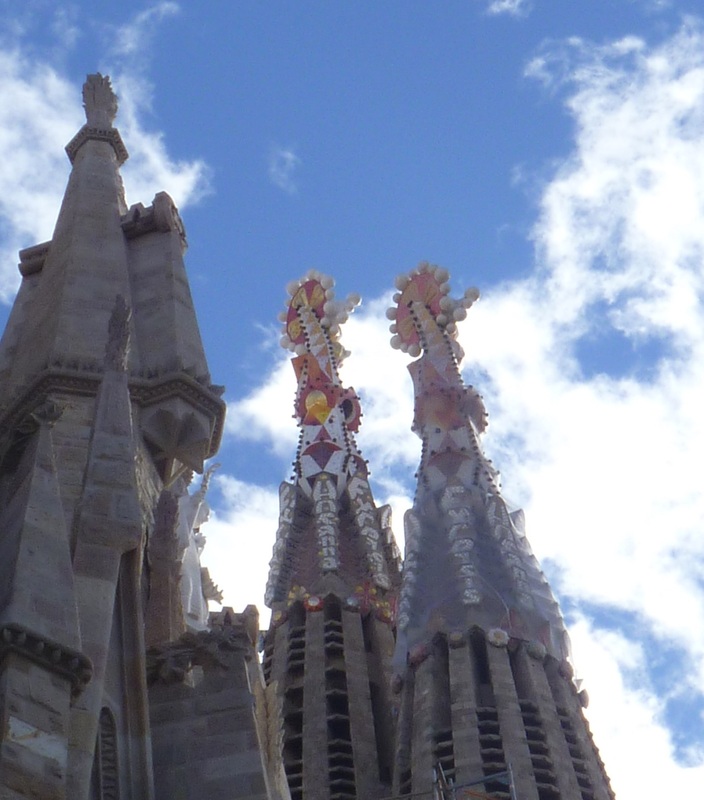 We were going to use our ICOM cards to visit Sagrada Familia, but it requires waiting in the long ticket line and then returning for the timed entry, often late in the afternoon. We caved and bought the online tickets. Even waiting until the end of October didn’t diminish the crowds much, though we got right in at our ticketed time. 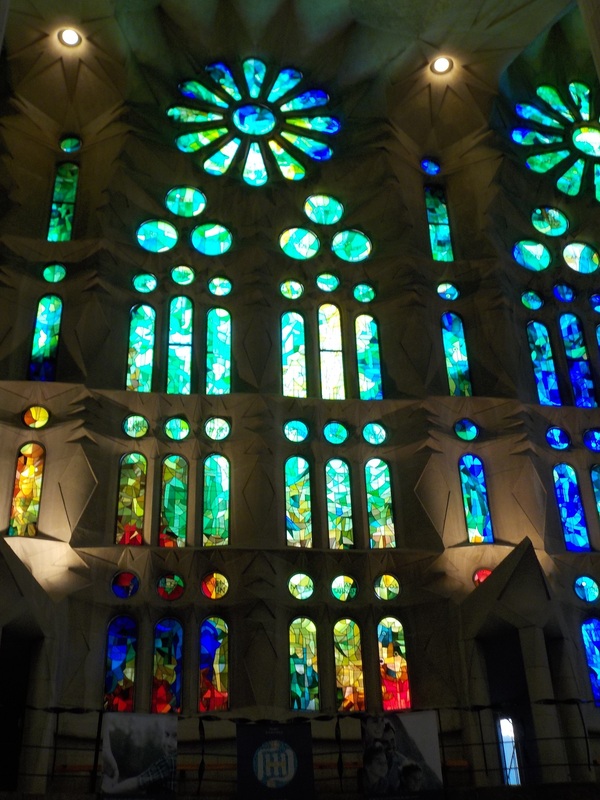 Now fully roofed and dedicated as a minor basilica (no resident cardinal) by Pope Benedict XVI, Sagrada Familia looks very different from the last time I visited 25 years ago. It is much less a ruin and more a church. The constant loud sound of power tools detracts from the atmosphere, but does show that work is ongoing. 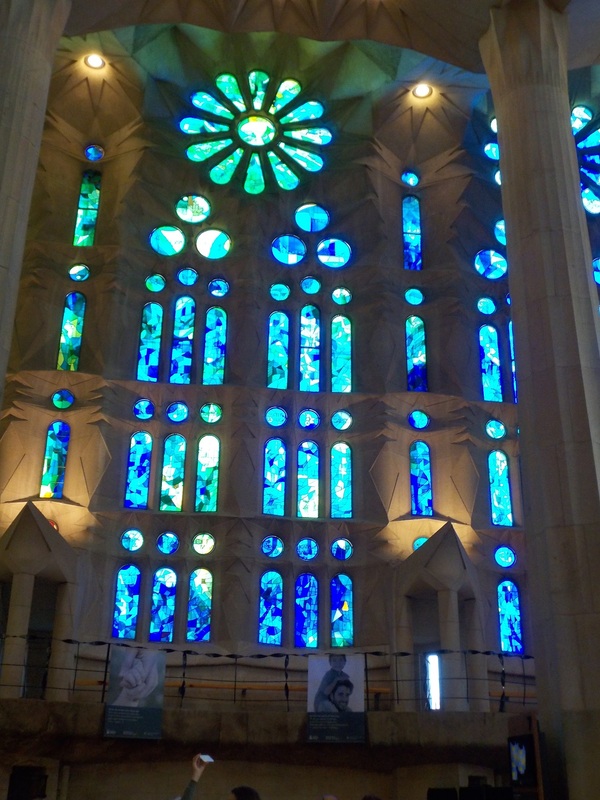 Optimists see the church finished in 2026. 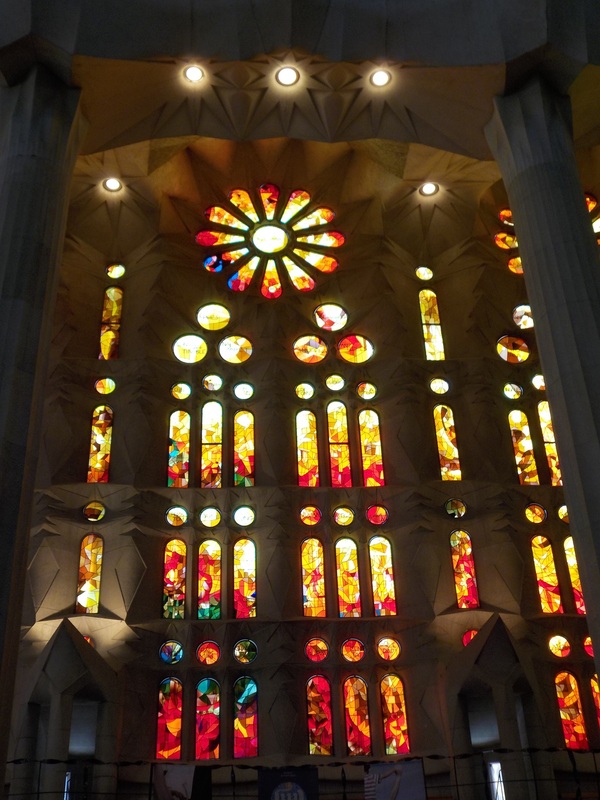 The stained glass is beautiful, though Gaudi was also very smart to design the windows of the highest stories to be clear so that the church is full of light. 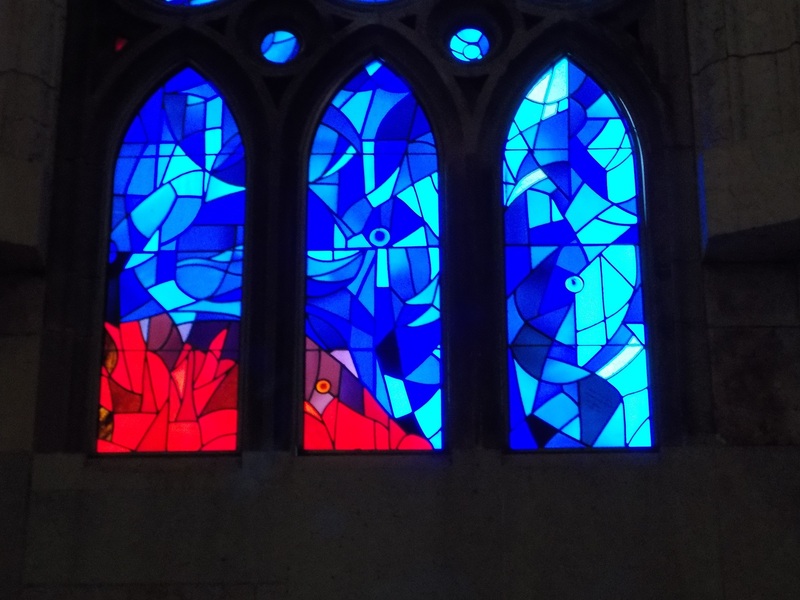 In some churches, stained glass appears like embers in the dark. 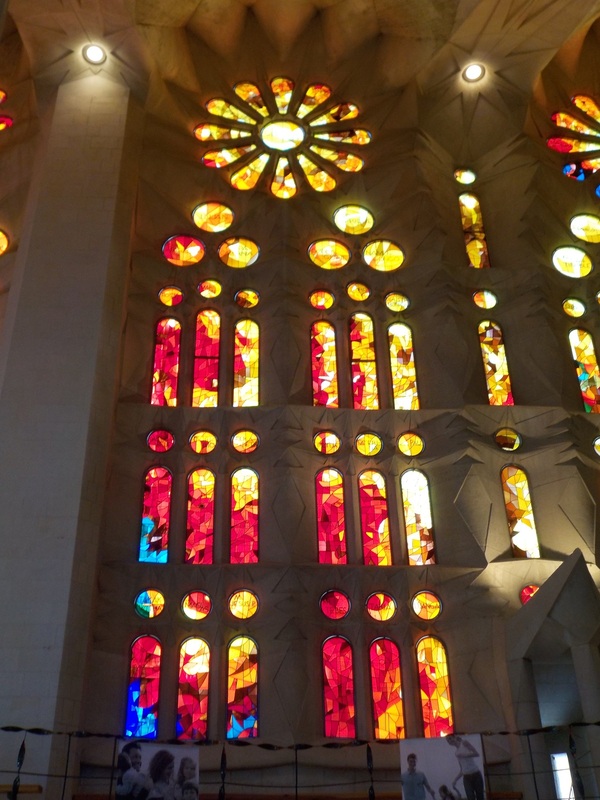 At Sagrada Familia it adds color to the light. Here is a single small pane. The color gradations from window to window are spectacular. Here’s the big picture. I purchased the additional ticket to go up in one of the towers, but I didn’t realize that it was only an elevator UP in the Nativity Tower. You walk down. It wasn’t as bad as I realized and the view was fascinating because you see the work currently underway. Note the construction office perched in the rafters. We could see the details. 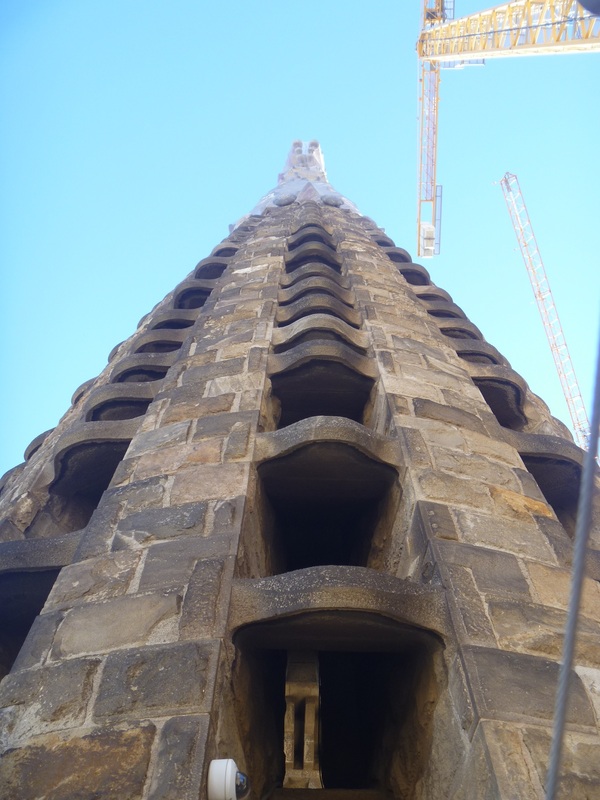 It is a breathtaking structure. 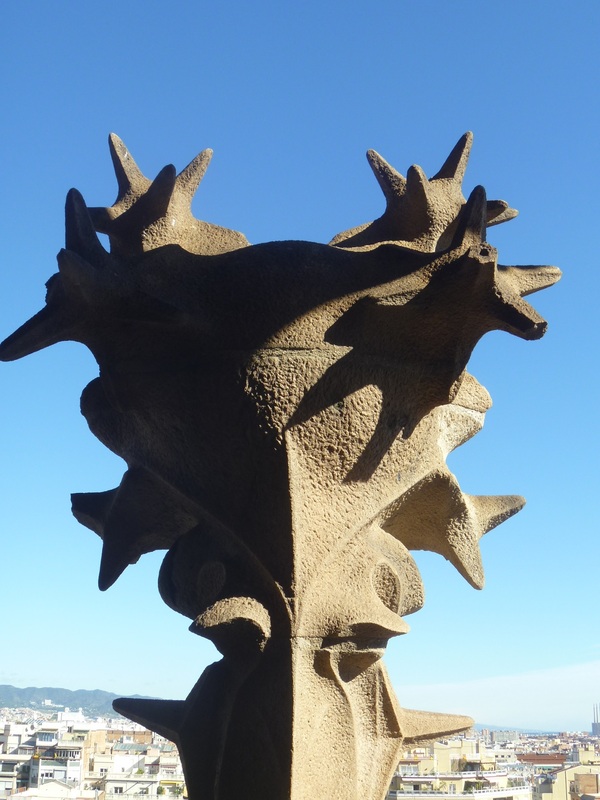 Gaudi incorporated many animals into his design. Here are some of them. 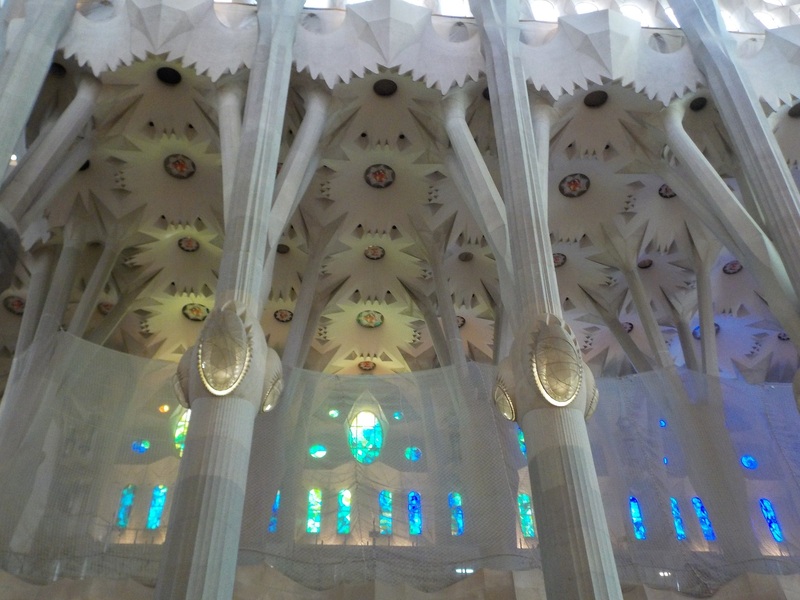 Here is Gaudi’s idea of the ceiling as a forest canopy. I have to point out that God the Father has a lot of competition in this church. 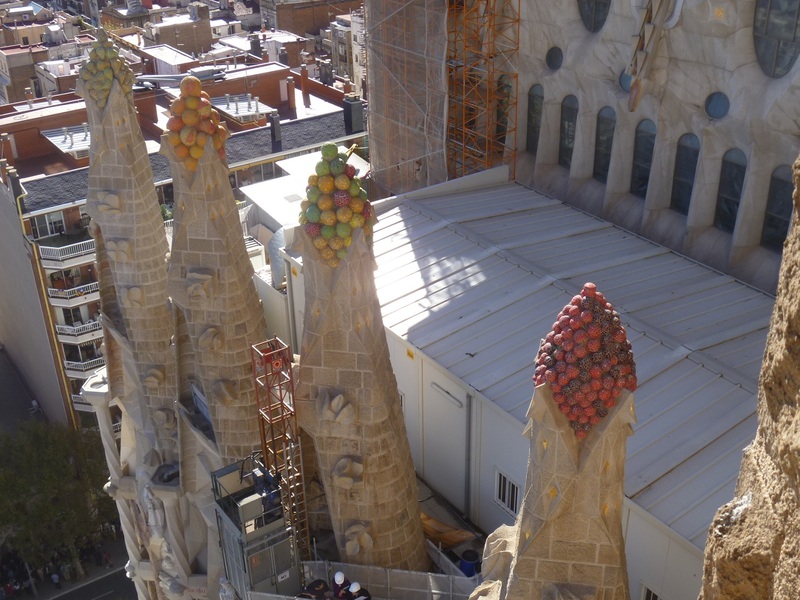 Gaudi was sure that his work was great, but he’d be horrified to find that it competed with religious observance. For such a wildly creative person, he was devout and ascetic, never married and worked all the time. 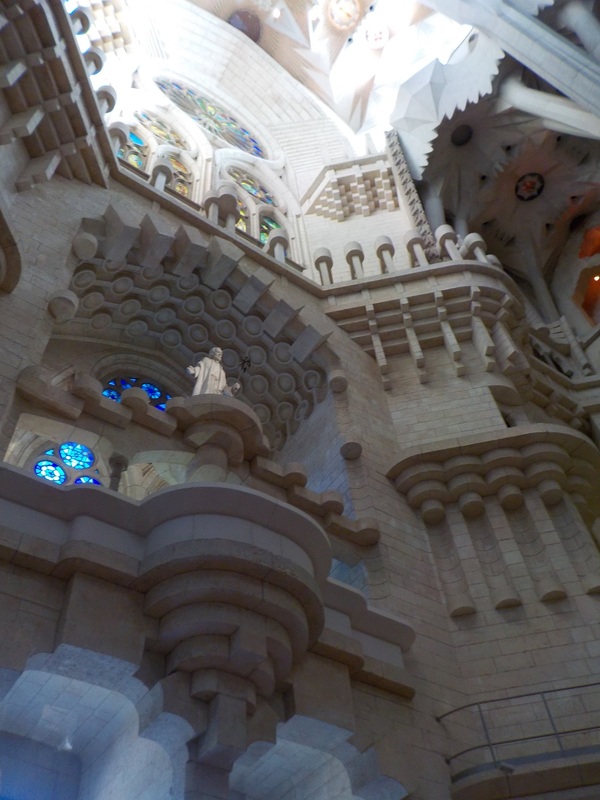 He spent the last months of his life living inside the constructed portion of Sagrada Familia. He died after being hit by a tram, unrecognized for his first couple of days in the hospital because he was dressed in work clothes and carried no ID. Would it have been different if he were wearing a suit and hat, carrying a briefcase?